Phu Tho (VNA) – An exhibition of photos and documentaries on the ASEAN Community opened in the northern province of Phu Tho on October 27. The event, jointly held by the Ministry of Information and Communications and the provincial People’s Committee, is part of the working agenda of the Government on introducing and promoting the ASEAN Community and its benefits to member states. On display are over 300 photos and nearly 60 documentaries featuring beauty of landscape and people, traditional cultures as well as environmental protection efforts in ASEAN countries. They were finalists in international photo and documentary festivals on ASEAN in 2010, 2013 and 2015. Stamps and seal samples of the ASEAN countries are also introduced. 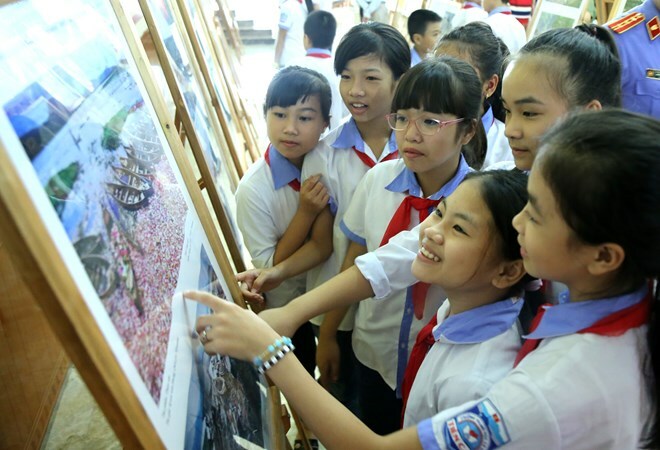 The three-day exhibition will help Phu Tho residents gain an insight into culture, people and life style of regional countries and enhance their awareness as well as responsibility for protecting the environment and combating climate change. It also offers an opportunity to introduce and promote images of people and culture as well as economic and tourism potential of the province to Vietnamese citizens and regional people. Speaking at the event, Hoang Vinh Bao, Deputy Minister of Information and Communications stressed the event is a milestone of ASEAN’s affiliation process that Vietnam plays a significant role in ensuring solidarity and unity over the past 49 years. It is also an appeal to Vietnamese people to join efforts with other nations of the bloc to build an ASEAN community of peace, stability and development, he added.